Telstra (ASX:TLS) has downgraded its total profit and pre-tax earnings (EBITDA) forecasts for the 2018 financial year after NBN Co decided to pause the rollout of its hybrid-fibre coaxial (HFC) network to fix mounting service issues. Australia’s largest telco revealed its updated FY18 guidance to shareholders early on 1 December, flagging an amended EBITDA range of between $10.1 billion to $10.6 billion, representing a $600 million reduction. At the same time, the company’s amended total income guidance range is now expected to be between $27.6 billion to $29.5 billion, a reduction of around $700 million. 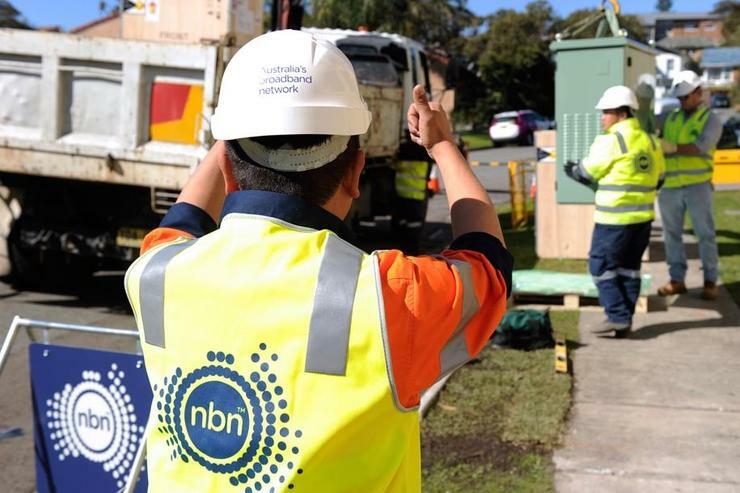 The amended forecast comes just days after the company warned its shareholders that NBN Co’s decision to temporarily pause the rollout of its HFC access network for up to nine months could delay payments by the network builder for the telco’s infrastructure. As part of the $11 billion deal Telstra inked in 2014 to hand over its existing copper and HFC networks to the company behind the rollout of the National Broadband Network (NBN), the telco was also set to receive additional payments over time for long-term leases of associated infrastructure. A portion of the payments Australia’s largest telco expects to receive over the coming years as part of the arrangement is likely to come from the HFC network infrastructure. On 27 November, the company behind Australia’s National Broadband Network (NBN) said it would halt its HFC access network rollout for between six to nine months to fix network problems that have been affecting the HFC infrastructure specifically, such as ongoing dropouts, and address a number of process-based issues that have seen lengthy connection and service times for end customers. "We are going to delay the rollout of the HFC network until we can go back and calibrate a number of processes so we can adjust a number of issues on the network to give the level of quality that we know that HFC network is capable to give," NBN Co chief executive officer, Bill Morrow, revealed on 27 November. "This will result in a six to nine-month average delay for those people that have yet to connect to the NBN network over HFC. "We’re going to work through a number of issues, focused primarily on those customers that already have the service today, and once that is complete, we will advance those improvements to the future areas continuing with the rollout sequence that is already within out systems," he said. Rowland and Labor’s Shadow Minister for Finance, Jim Chambers, subsequently claimed in a joint statement that the delay could cost taxpayers anywhere from $420 million to $790 million, based loosely on analysis laid out in NBN Co’s own 2016 Corporate Plan. Now, Telstra has told shareholders that the most significant impact it will see from the delay is the proportion of one-off receipts to Telstra from NBN Co being delayed into future periods. “The revenue recognition from Telstra’s commercial works contracts with NBN will also be delayed,” the company said in a statement.